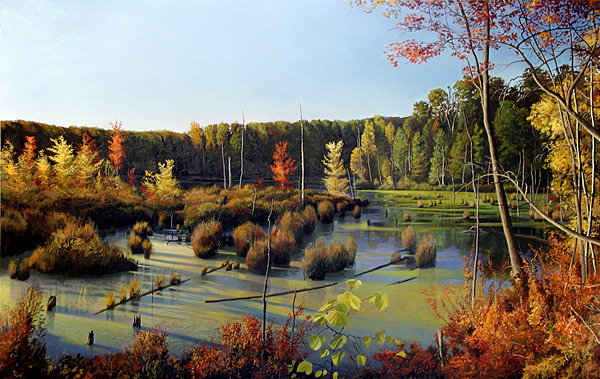 Oil on canvas, 42" x 66", 2005. West Bloomfield Nature Conservancy, West Bloomfield, Michigan. I was never satisfied with this painting after I initially completed it in 2001, and repainted it in 2004-2005.